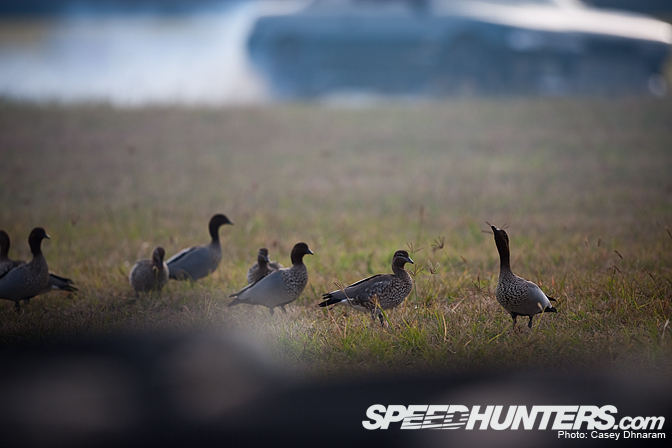 mornings like this ahead of you! The predicted forecast was for heavy rain throughout the day, that is definitely what it seemed to look like when I first arrived at the track, however this didn't seem to affect the number of drivers that had turned up! Observing the pits it seemed to be a huge turnout, with only 3 spots left over from the day. 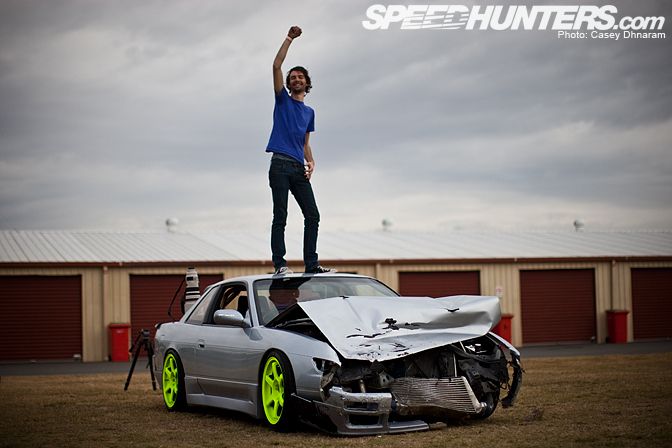 Here is Todd's S13 awaiting to hit the track… Still without a rear bumper. 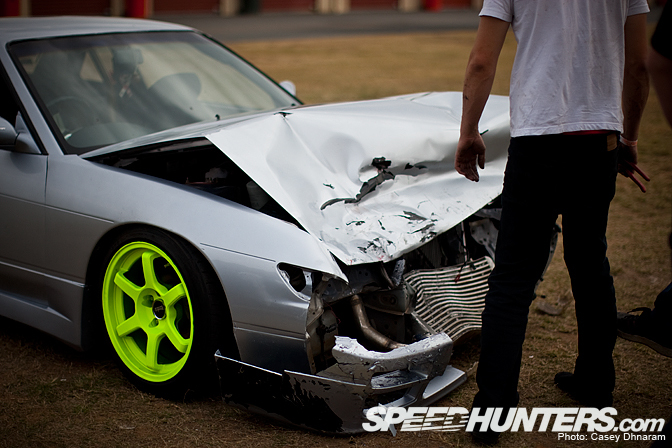 Hughsey's S13 also looking very stylish in the pits, with a new choice of rim color too! 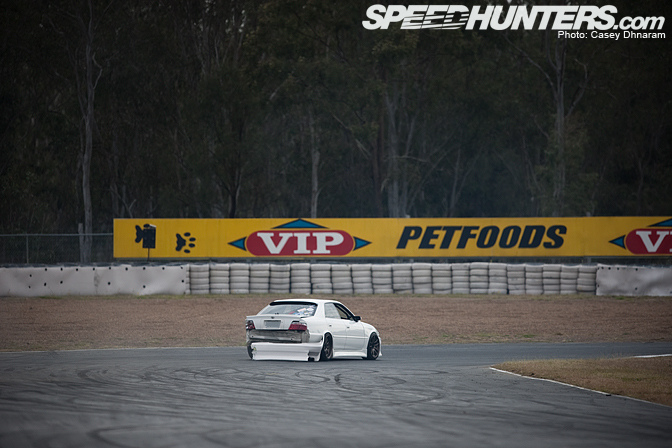 Zac was one of the first to hit the track, lining up well before the start line to gain more speed for the entry. The car was looking very clean. 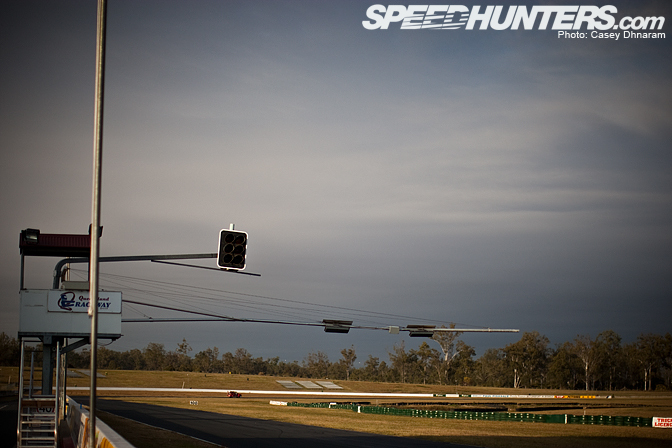 This photo was taken a couple of laps prior to Hughsey's accident. Hughsey and Lachlan's accident caused the drift day to a pause which brought all the drivers together for a second briefing on safety. Despite all the noise, the ducks didn't seem to mind. 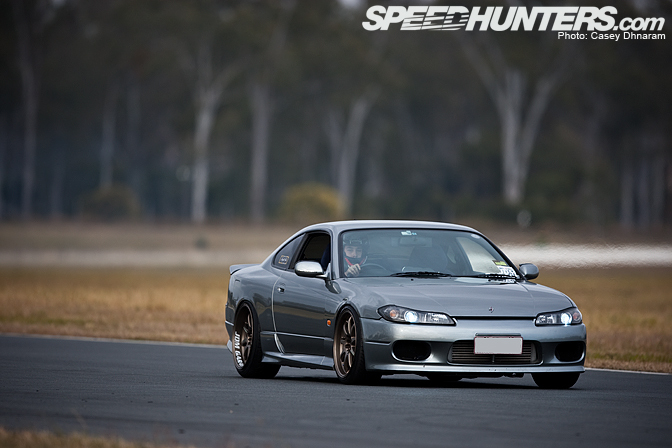 JDM Garage are one of the companies that style their cars in a respectable manner. 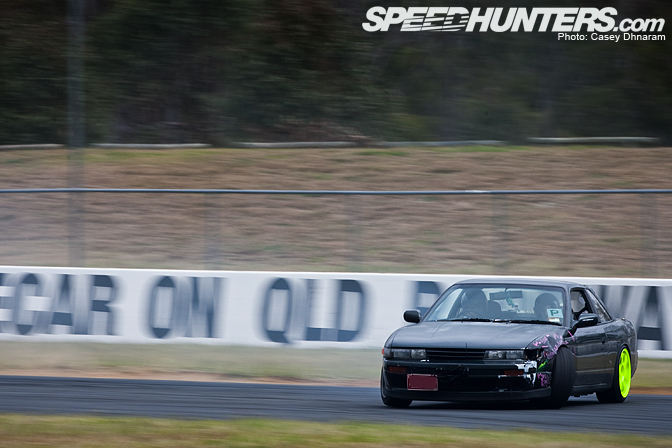 This is Glen's 180SX… it was his first time out this year after blowing his previous SR20. 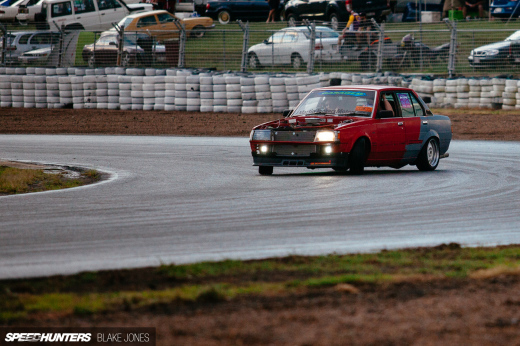 But he was back out in force with a rebuilt motor which didn't take him long to get used to! Recently moving up from Melbourne, Victoria, is John and his Ford ute. I have to say its always a pleasure speaking with John, he has such a friendly personality and is very easy to get along with! The car is just shy of 300 rw/kw, it would be a handful to drive. Oh… the housemates! Back in force. 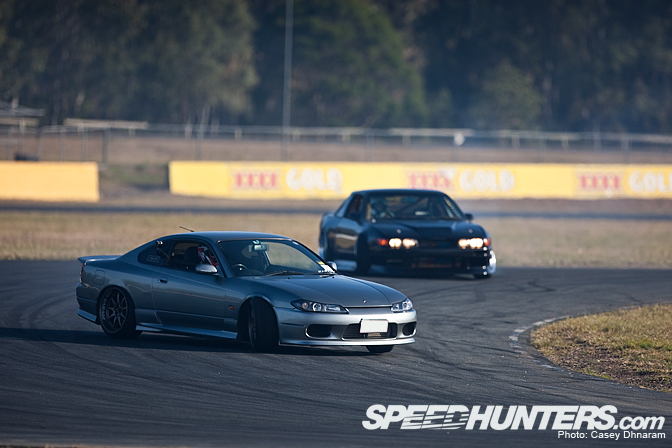 A car that really caught my eye over the day was John's Celica/Supra. It was running massive wheels front and rear! 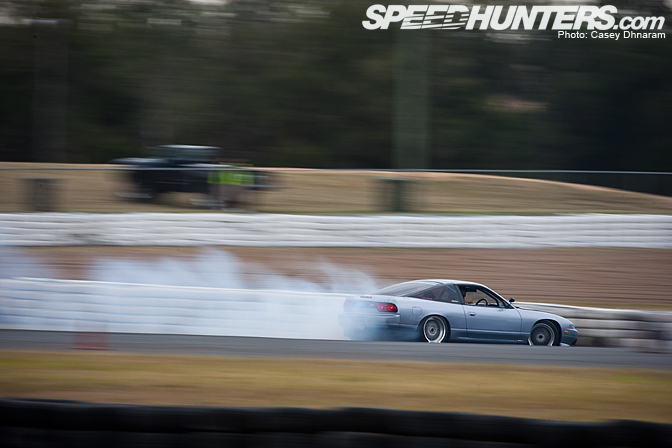 Kyrin with his JZX100 looked super hot entering down into turn 3. The car has a new and improved motor pushing 307 rw/kw. Unfortunately, he pushed a little too much. Kyrin clipped the wall on his next run. Luckily the chassis has not been bent and the car is repairable. Shortly after taking it into the pits and removing the rear bar, he didn't hesitate to get back out there and give it another go! Everywhere I looked, these guys would seem to pop up. 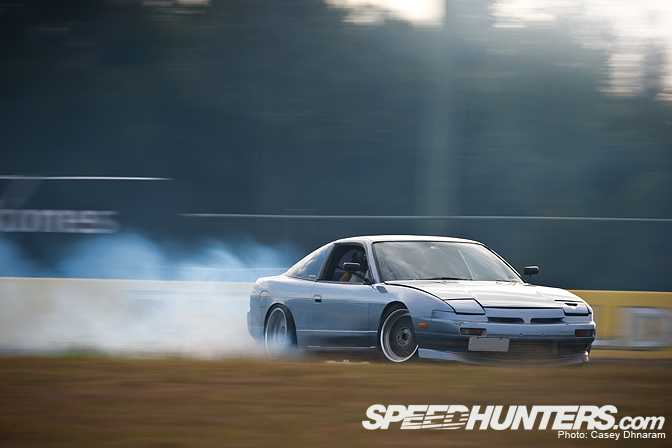 Glenny entering the crossover, such a beautiful 180SX. Here's John rolling down the back straight with the tire off the rear rim. Crashing at 70km/ph approximately resulted in this. Walking away with a sore neck and a swollen knee. It's a miracle the boys weren't majorly injured. 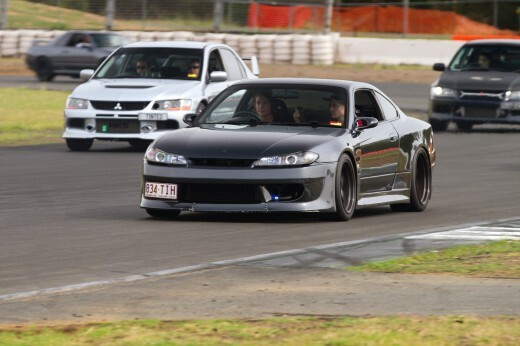 Zac's new DMAX rear wing just finishes off this S15. It's always a pleasure shooting Zac's car. Speaking with Zac a day before the event, explaining to me how he has lowered the car. Later that night, the chassis managed to shave down the entire loom which led to all the lights on the car. Luckily, Zac managed to get from his house to the city the night before the event without getting pulled over by police. 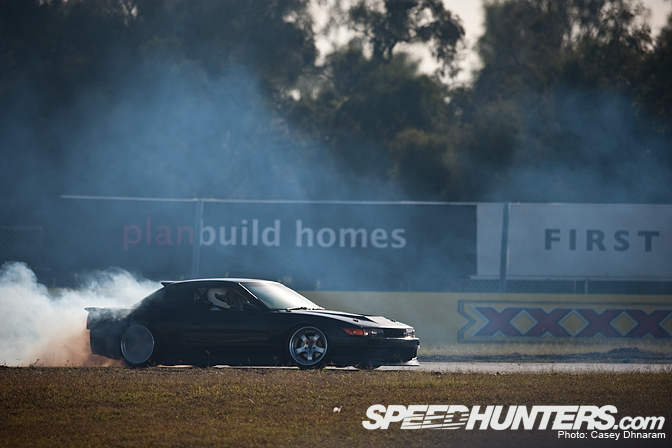 With all the carnage in the morning, things just weren't looking any better for this street 180SX catching fire down the back straight, luckily they put the fire out and no one was injured. hour of the day. The neon wheels really stood out on Morgan's black car. 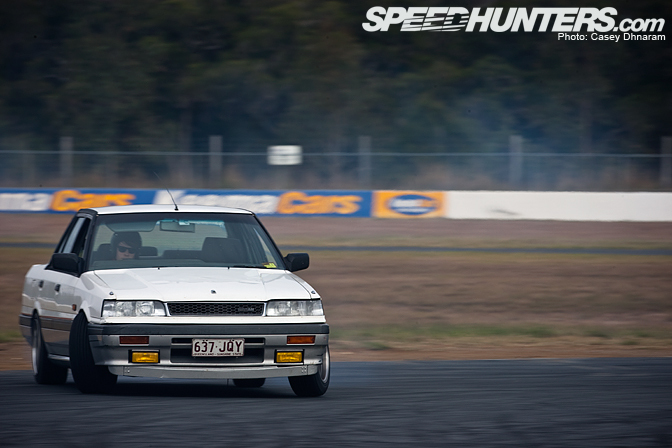 Another naturally aspirated driven car is Nick Rombouts and his R31. I highly respect Nick and his car. Driving every track day possible with a smile on his face! 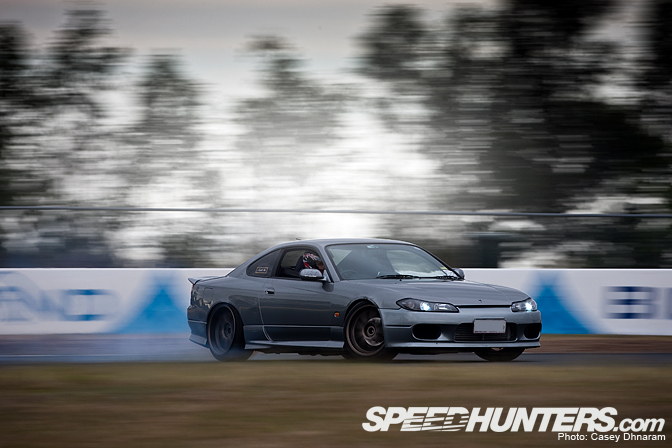 Last but not least, here is Josh Coote testing new suspension setups and just having some fun! "These are the days I live for," a quote from Zac Seaton (S15), Well and truly sums up the day in whole. The community is growing and becoming more like a family rather then a random group of people. Nice job Casey. Awesome photos like always and a good write up! I agree that A60 rocks! 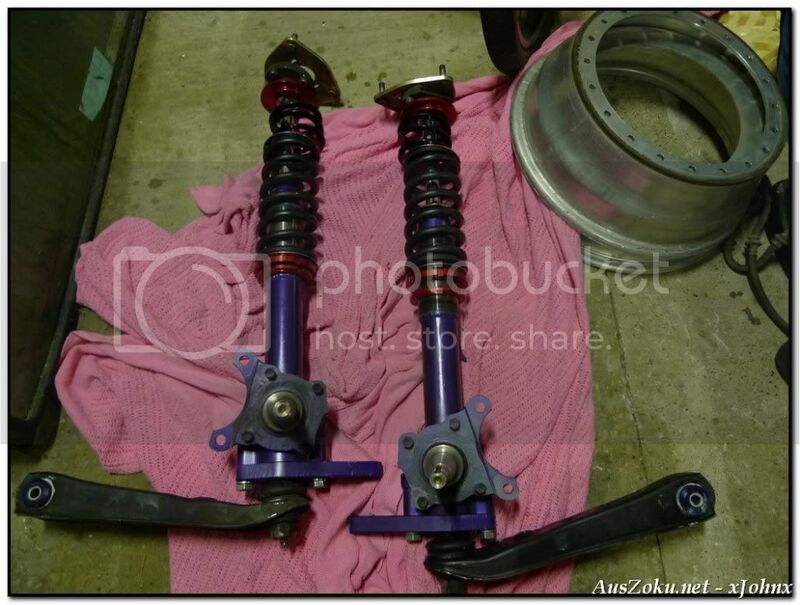 What coilovers will fit?!? 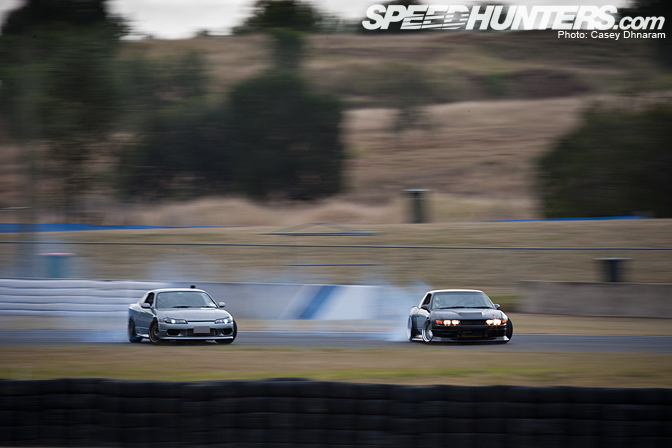 Cressy/S13? Wow. 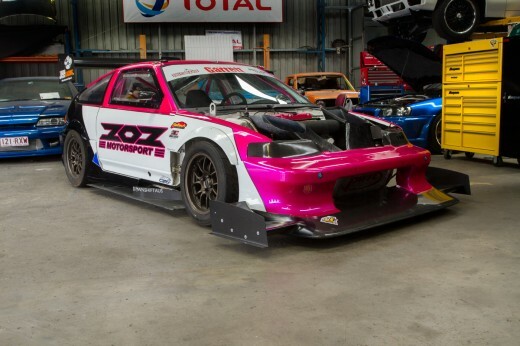 Australia may have the finest looking drift cars in the world! 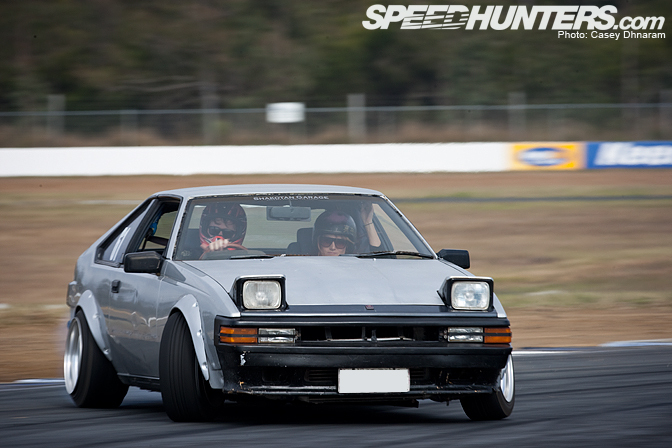 While Japan and America embrace "Derelict" styling (a la Zoolander), the Australians bring these cars to the table! I really want a wallpaper of the dude standing on his car. 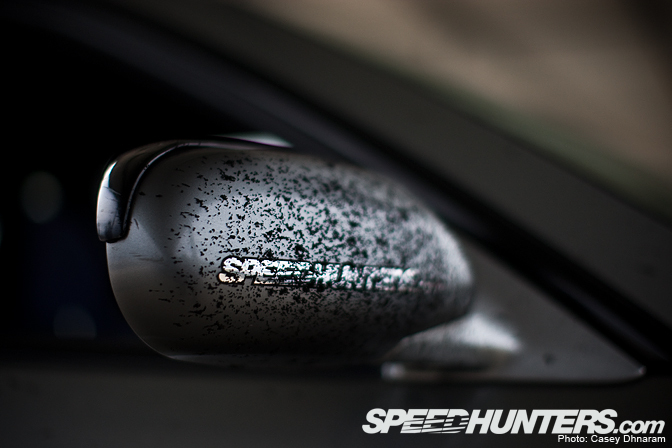 Definatly need a wallpaper of the last pic, its one of those "a picture is worth a thousand words" sorts of pics, and definatly describes what I picture speedhunting to be all about! danged kiwi's and their impeccable style! damn, that silver 13 coupe was so cool. super basic style. real nice. was this on tuesday morning? also: any idea on when the next one is? 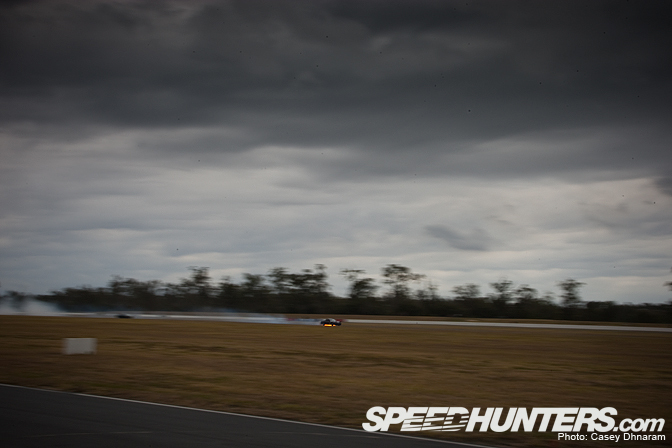 Great pics Casey, love all the cars... good to see the Aus scene and the people behind it getting some credit..
That red F150 in the 3rd picture is the best car there! You take amazing photos, you are brilliant! I take photos, but you are amazing! 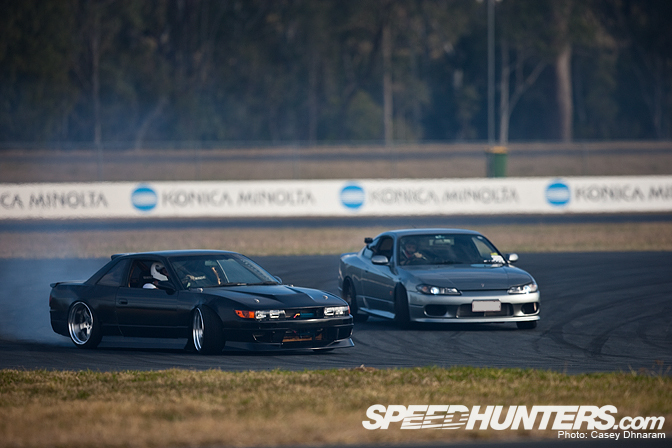 Hughsey's S13 ? Will she be back? How did Kyrin hit the wall... It seems a mile away from the track..?! You Aussies go hard! Great stuff! 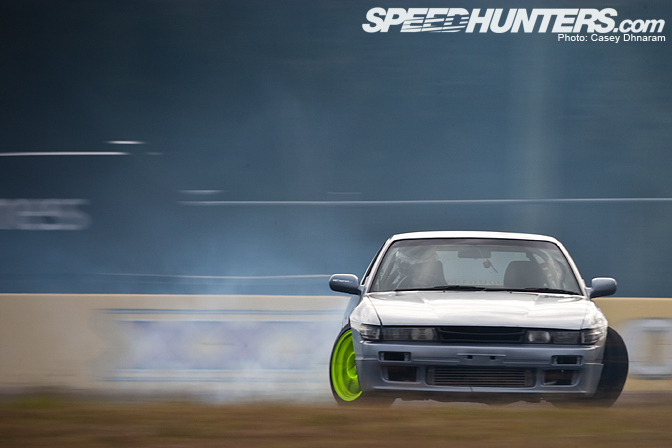 Todd's S13 looks tougher then ever on the drift track! Go the XF UTE! V8 or Straight 6? Looks like a cool project car. Gotta loose the KW references though. No one understands outside Australia. The world uses HP mate. Kw * 0.746 = Hp. Hughsey's S13 looked nice at the start with those neon rims (even tho' i'm not of fan of that colour-the-alloys-lairy-vibe).. nice to see an old Supra getting treated with the respect it deserves.. great pics too.. these guys had some some good clean (crashy) fun..
MA61 run's custom xt130 coilovers, shortened, R32 brakes, xt130 custom LCA's with RCA's and steering arms from T3, from memory. Rocks a 1jzgte and 15 x 8.5 and 10/11 with LOTS of neg, I think the 11's are - 40. 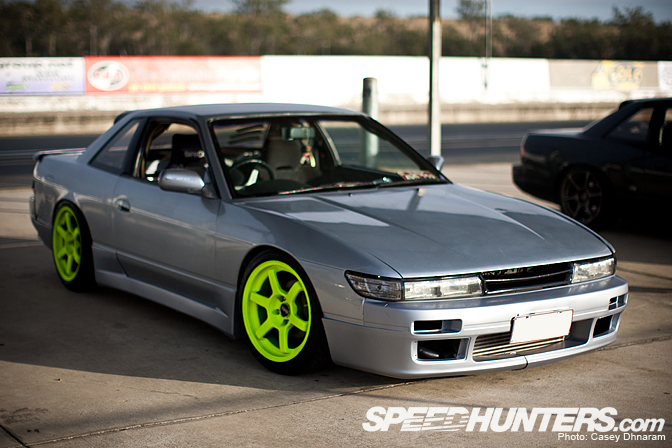 Don't quote me on rims, he has like 5000 80's 15"
How do you go about getting the fluro rims? Do you have to put in a special request when ordering them, or are they powder-coated? pleeeeeeeease wallpaper if the rubber covered mirror!!! 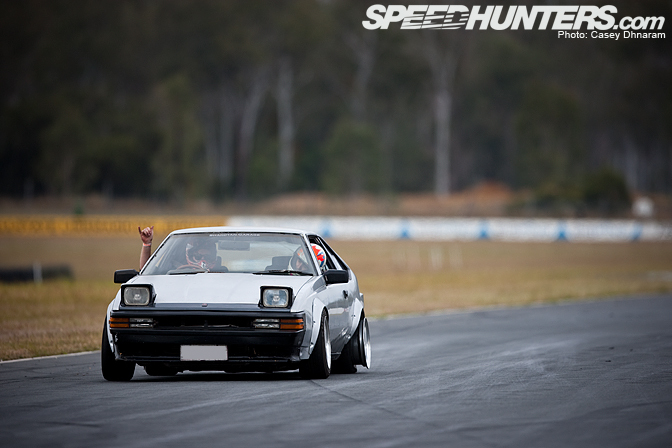 oohh that mk2 is the drift car of my dreams!!! There is 1.34 hp per kw .